Each year at Tosa Fest we bring you Artisans from around Wisconsin during this two-day event. The Artisans will only be showing on Saturday this year see us on Sept 10th 11-7 p.m. and the following Fine Artisan mediums; Wood workers, glass Artisans, Photographers, Wearable Artisans, Jewelers, mixed media, hand-made ring artisan, a ceramicist, a sculptor and painters. What first drew you to Art & How long ago was that? Since 2nd grade I just knew I was an Artist. My interest in the Arts (especially Music and the Visual Arts) became a real focal point of my life. I would have my Dad drive me to the library where they would have live Classical Concerts playing. After the Concert I would spend the rest of the day looking at the Art books. How would you describe your medium? My medium is non-traditional. I use acrylic paint on raw or unprimed canvas and then draw the details with magic marker. Why did you choose this forum to express your art? I love to paint and I love to draw and this technique allows both loves to unite and complement each other. What does it feel like to create? Creating is a high and makes me want to create even more. The need and desire to create. Many things inspire me but I enjoy textures especially the look of paint on a surface. What advice would you a young Artisan in promoting their Art? Believe in what you are doing and continue to ignite your creativity by challenging and stretching yourself. Always practice thinking outside the box. Do you think that being an Artisan is something that is in your blood or is it something that can be learned? You really have to have a desire, and a knowing that you are a REAL Artist. Yes you can learn techniques and dress the part but face it being an Artist is not for the faint of heart. It’s tough yet a rewarding road. What is the best advice you have ever been given in your field of Art? How many hours do you work daily on your Art and what are your daily tasks for your work? I am constantly thinking and producing art. Sometimes the most obscure thing will trigger an idea or solution for a piece of art I might be working on or stimulates a new piece. I carry a sketch book everywhere I go. I’ve been known to wake up at night and start sketching out ideas or at the very least making notes. I normally work at night into the morning. I need to get the busyness of the day out-of-the-way and then I can be “Free to be me” and create without interruption. What will you be showing at the Festa Italiana’s Fine Art show? 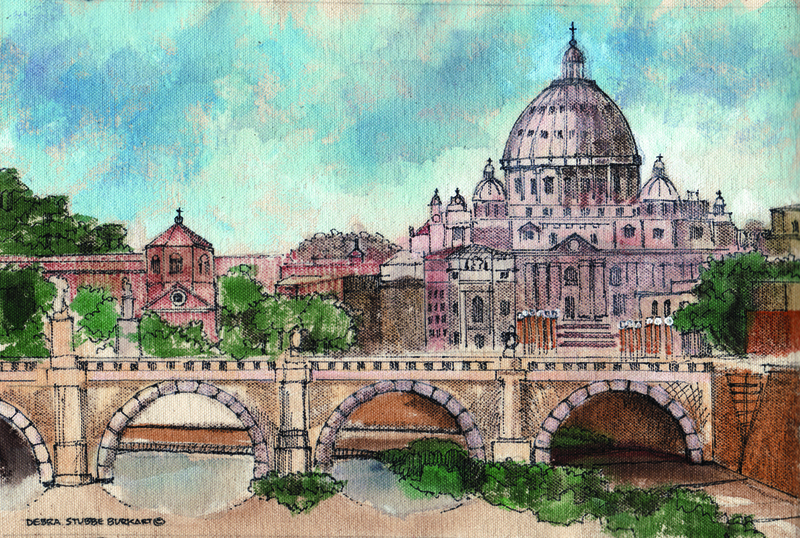 For Tosa Fest I’ve been working on some NEW and EXCITING paintings and drawings of Italy and Milwaukee Landmarks. These paintings are done with acrylic paint on raw canvas and magic marker. Originals as well as affordable prints and greeting cards will be available for purchase. Commissions are welcomed. -I have always had an artistic mind. Growing up, I was always making a mess on my kitchen table with a different craft each day. Starting with paint by numbers then eventually moving to jewelry and other accessories. -At least 20 years of being creative, but more like 7 years for jewelry. -What I am known for is wire wrapping and specifically using that to make rings. They are edgy, funky, and unique. I consider them a piece of finger art. -After a long day at work, it is relaxing to come home and just create. It’s something that I am in control of, and there is no one to tell me that I am doing it wrong, since it is my piece. It’s a great de-stresser and always puts me in a better mood. -My happy customers are what keeps me doing this as seriously as I am. It’s an indescribable feeling when someone compliments your work and gets a smile on their face while wearing it. Jessie J, the up and coming pop artist from England, bought one of my rings in a shop I sell at in New York. Seeing the picture of her happily wearing my ring is a priceless feeling. Tell us about your main project? -I feel like I am always working on a new project! My newest is making t-shirt scarves. It’s a great way to reuse and upcycle old shirts from either your closet or the local thrift shop. -I love wearing scarves and I had a ton of old shirts that I wanted to get rid of. I just came across the idea one day and figured I would give it a try! Where are you at with your main project now? -I have made several scarves and I am continuing to make more and supply the shops that I sell at with a variety, while of course adding to my own collection. You can’t make things without keeping a few for yourself, right? -Don’t let a few “No”s discourage you. I have been told “No” so many times for selling my rings in shops, boutiques, at events, etc. But for as many “No”s that I have heard, because I didn’t give up, I have also seen a lot of “Yes”s. You need to put yourself out there in order to be seen. -I think that it is something that is in your blood. You either have it or you don’t. Some can be taught certain techniques of art, but being artistic is something deep inside of you. We seem to think differently and have a unique view of the world, as one giant canvas. -Don’t give up. It’s not just for art, but for life in general. People who give up never get anywhere. It’s important to continue to do what you love, even if you feel no one else appreciates it. Someone out there will. -I am not able to make jewelry everyday, but whenever I have spare time, I pick it up. It’s something that I tend to do on weekends, or on week nights that I need some mental relaxation. I really have no specific plan for the tasks I do, I just do whatever speaks to me that specific day! but rather as beautiful, harmonious creatures on earth. Currently, most of my work are paintings with acrylic on canvas. inspired by Klimdt, represent the patterns and obstacles women go through. representing women in a positive light. Welcome to jewels by jules! My beaded, wire wrapped and hand stamped jewelry has been described as unique and whimsical. I love to create the pieces for your everyday enjoyment. All of the jewelry listed is ready to ship from a smoke free and pet free home and comes with free shipping! I also love to take nature photography-all of the pictures are as taken and not retouched. the photograph cards take 2-3 days to process before being sent out from the same smoke free and pet free home. Custom orders are absolutely welcome – just let me know what you are looking for! shapes, colors and styles – for all varieties of projects. My parents bought me my first easel when I was two years old. My medium is whatever I feel like using to make art in the moment… Form, Color and Function are the principal ideas of my glass lampworking techniques. Integrating these principles creates a successful piece of art. Currently I am working on making wine glasses and owl pendants, as well as a new line of color changing and glow in the dark beads. Be positive. Don’t believe anyone if they tell you that you will never earn a living on your art. or is it something that can be learned? Working hard comes easy if you love what you’re doing. about 8 hours a day — not just making art but focusing about two hours on marketing also. It is a full-time job. What will you be showing at the Tosa Fest’s Fine Art show? Handblown Glass Beads and other glass items such as aromatherapy jars, wine glasses, ornaments, plant waterers, beads, marbles and jewelry. Girly Girl Baubles and Beads in Bay View, Wisconsin. 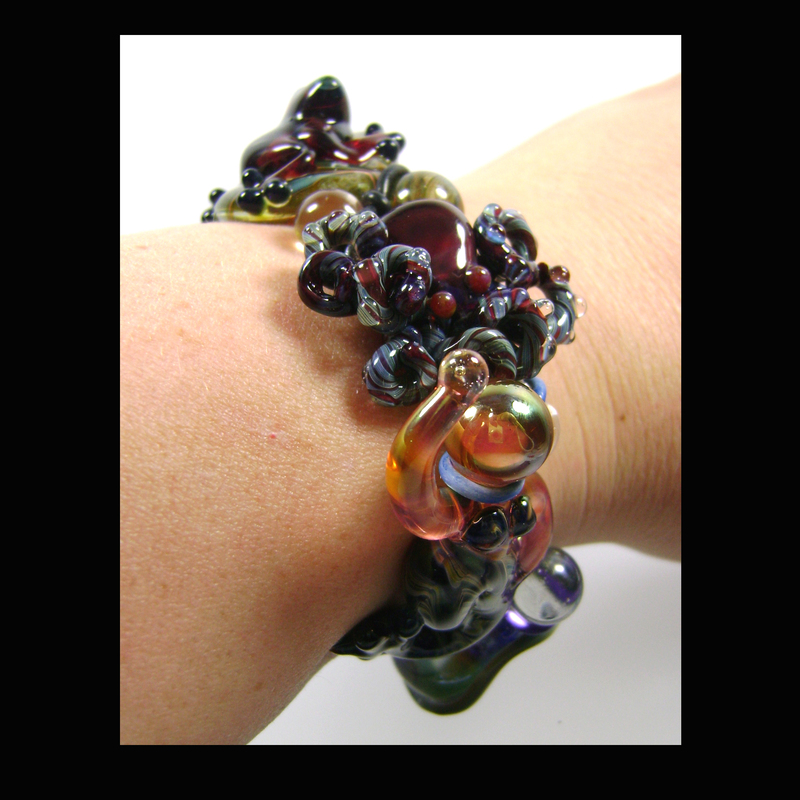 Girly Girl Baubles and Beads is all about creating beautiful, wearable art jewelry. Pieces to own, to love and to wear again and again. The inspiration for pieces from the Girly Girl “Earthly Pleasures” line is the beauty and diversity of nature. Created from beautiful things of earth and sea, semi-precious gemstones and shells, these pieces are designed to be beautiful, natural art that are a pleasure to own and wear. All Girly Girl pieces are designed to be comfortable and durable for lasting beauty and wearability. Whats your favorite pc of Art? by Nita Engle who has done some amazing watercolors. of the leftover materials, I didn’t realize it would become a disease. displayed at a show. I guess you could say I’m an accidental artist. I describe Girly Girl jewelry as beautiful, durable wearable art. Perfect as a gift for someone else or as a treat for yourself. Something for every taste and budget. How would you describe the feeling you get when you create? best and tends to have a timeless appeal. What will you be showcasing as your favorite work at Festa? What is one thing you want people to know about you or your Art? removing elements. If the customer leaves happy, then I’m happy. year and know that they are still wearing and enjoying their pieces. I was born, raised, and still reside in West Allis, Wisconsin. I absolutely love where I live! My home studio is right by Greenfield Park so it’s the perfect for me. I get to be surrounded by nature but am still close to the city. I have always been creative. I have loved to write, draw, paint, and simply create from a very young age. I feel blessed to have a family that supported and encouraged my creativity from the beginning. There was never a question in my mind that I would dedicate my life to art. When I discovered jewelry making I knew that I had found the perfect medium for me. I have collected gems and fossils most of my life and ultimately found that jewelry design is the perfect way to express my fascination with geology and ancient history. I began making jewelry when I was twelve years old (sixteen years ago). I actually started with seed beads and fishing line! I then began to study the art form of beading and developed my skill and style over time. It wasn’t until I was a teenager that I really began to develop my voice as an artist. I began to fold together my love for history, literature and nature and ultimately created my style. I like to think of my jewelry as having a sophisticated style with a bold and archaeological edge. Jewelry is a captivating medium. Because it is functional art it affects people in many ways at once. You see the jewelry piece itself, how it accentuates the beauty of the person wearing it, as well as the way it compliments what the person is wearing with it. Jewelry can both be the stand out piece of an ensemble or it can blend with it in order to complete the picture. I love that I get to make a statement when creating the piece and its owner gets to carry that statement further by how they choose to wear it. 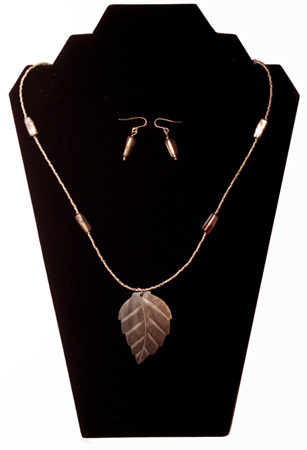 As I developed my style, I decided to work specifically with natural gemstones, fossils, and sterling silver. There has always been something very alluring about natural gems and fossils to me. Knowing they come from the earth and the gorgeous colors, patterns, and textures are created naturally fascinates me to this day. I chose sterling silver because it is the most reflective of the precious metals. My work is focused on the stones that I use but I love to incorporate sterling silver to create contrast and little pops of light and sparkle. Nothing could ever replace the joy I feel when creating my jewelry. I love what I do and designing new pieces for my collection is a lot of fun! Nearly all of my work is one of a kind so I literally get to start from scratch pretty much every time I sit down at my work table. I hand select my materials in person so that I can choose the best quality but also so that I can begin the design process in my mind before I even get to my studio. My favorite way to design is to first choose the stone or fossil that will be the focal point and study it for a while. I pick out the colors, patterns, and textures and begin to pull other materials that will draw those characteristics out of the focal piece. It really feels like I get to play with my favorite toys for a living. I feel very blessed to be able to dedicate my life to my passion. My motivation comes from the passion I have for jewelry and the natural gems, fossils, and precious metals I work with. Jewelry making is in my blood! So from both a creative and business point of view, my motivation starts there. I feel a deep need to express myself creatively in this medium because it is what I love. Likewise I am motivated to be a professional jewelry artist because I literally cannot imagine doing anything else with my life. I love to write and have other creative passions, but it always comes back to my jewelry. I know that this is my life’s calling and I feel so incredibly blessed to be able to get out there and make it happen! I am most inspired by my materials but my love for ancient history and nature always find their way into my designs. While I do not believe in the folklore attached to gemstones, I do have a deep love for them. To me, it shows the creativity of God. No man could ever create something as beautiful as the stones we are able to pull from the earth. Likewise, I love to use our forests, deserts and oceans as inspiration for my work. The power and majesty of nature serves as inspiration for most artists for a reason! There is such diversity and raw beauty around us! I have also always been fascinated with ancient times. I am most inspired by Egyptian, Roman, and Greek history but have recently began to delve deeper into my Scottish heritage and have incorporated that into my work as well. Through the use of specific stones, color combinations, and even sterling silver replicas of ancient Roman coins I am able to combine all of my interests in order to create a style that is uniquely my own. Are you working on any new Art Projects? One of my favorite aspects of being a jewelry artist is that there are always opportunities to grow. I have always had a love for precious metals and have been slowly accumulating the skills and tools needed to expand into traditional metalsmithing. I have just finished the expansion of my studio space and have most of the tools I need! So, right now my main focus is continuing my education and diving into this new adventure! My mind is filled with so many ideas for this new collection. I have notebooks filled with sketches! Thankfully I have a sketchbook app on my iPhone now so I can make quick drawings on the go without having to carry a sketchbook with me everywhere. Metalsmithing opens up so many doors of creative opportunity and I am eager to see my ideas finally take form! Three simple words: go for it! Don’t let fear of failure or rejection hold you back from chasing your dreams. It’s not easy to make a living as an artist, but it’s also not impossible. If you dedicate yourself to your craft and are willing to put in the hard work you can make it. It’s a challenge to balance being an artist and running a business. That is why having a plan is so essential! I recommend actually sitting down and writing a proper business plan so that you know what you’re getting into. Once you have those details figured out, force yourself to make a schedule for your week. As odd as it may sound, you really do have to schedule creative time for yourself! I have days dedicated to creating, business contacts and research, photography, and the running of my website and online shops. It’s so easy to get caught up in the fanciful dream of just casually creating art to our heart’s content every day! In reality there has to be balance between the art and the business. Don’t sit around dreaming of what could be. Have those dreams but then make a plan and take action! Do you think that being an Artisan is something that is in your blood? Yes, I think we are born with talents, passions and abilities that are unique to each individual. I believe everyone has creativity in them but we use it in different ways. Being an artisan is a specific form of creative expression. Like I said earlier, jewelry making is in my blood. You know when you have found your calling – it’s that one thing that draws you in and won’t let go. When you wake up in the morning and just can’t wait to get to work you know that you have found your life’s purpose. I truly believe all of us are born with a purpose! All of us are creative in some way and just have different ways of expressing it. Whether you’re a teacher developing a way to reach a student most people would have given up on, a doctor researching a new method of treating a disease, a construction worker figuring out a better and more efficient way of completing a project or an artist pushing yourself to try new techniques or mediums we all use creativity in our daily lives. I think we can certainly learn to use that creativity in ways we had not thought of before. That I why education is so important! When we are shown something new or even something we already knew but from a different perspective it can inspire us in ways we never would have imagined on our own. Know when to walk away. 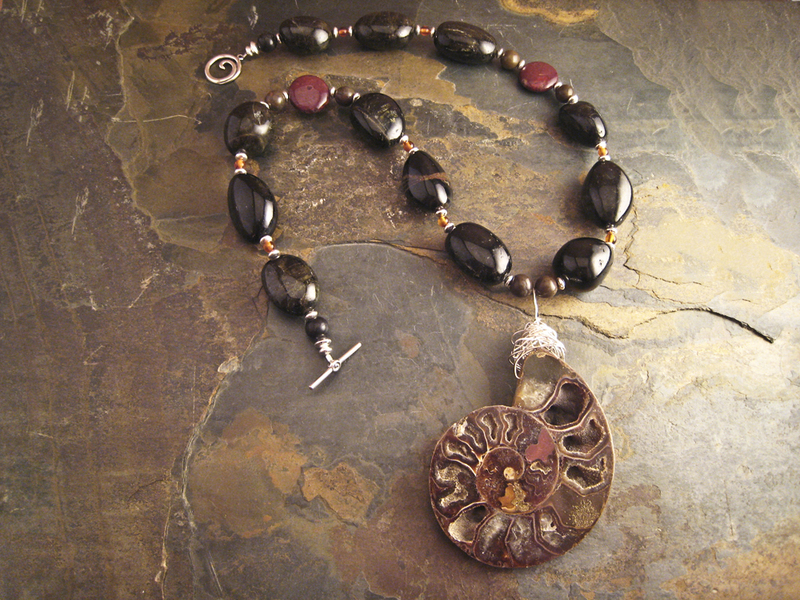 Most of the time the jewelry I create just comes together naturally and I am thrilled with the piece right away. However, there are times when something just doesn’t feel right. When that happens I like to lay out a piece or even partially construct it and then leave it for an hour or two (and sometimes even for an entire day). Looking at it with a fresh perspective totally changes how I see the piece. I can better see what is missing or what needs to be tweaked after walking away for a little while! I am blessed to be able to dedicate my life to my art. Finding the balance between creating my jewelry and running my business is definitely the most challenging aspect of the equation. At this point I spend about 6-10 hours a week actually creating jewelry. The rest of the time is spent running my website, updating my online shops, contacting boutiques and galleries, writing articles for publication and doing the necessary bookkeeping and inventing needed to run a proper business. The allure of being a free-spirited artist just playing in my studio all day is certainly captivating! The problem is that you can’t really make a living that way (well, unless you can afford an assistant or two!). I just recently made a spreadsheet schedule for myself which dictates what I devote each day to and even breaks my days down by the hour. I am amazed by how much that has increased my productivity! Surprisingly, it’s also helped me creatively. Now that I know “Wednesday is a day completely dedicated to jewelry making” I am filled with anticipation and ideas just keep flowing. So, as much as artists generally don’t want to hear it, making a schedule and sticking to it really does make an impact! This will be the first show of my summer tour so I am very excited to debut my new collection! By popular demand I will be unveiling a collection of bracelets which feature a sterling silver extender chain which makes the fit completely customizable anywhere from 6 ½ inches to 8 ½ inches. This will allow women of all shapes and sizes to be able to wear them which is something that matters very much to me. I want all women to feel beautiful and be able to express themselves through the jewelry they wear! You will find a lot of exotic colors, rich textures and bold patterns in the stones I have used in my newest pieces. I am constantly amazed by the beauty of the natural gemstones I work with. They really do take my breath away. I can’t wait to show everyone this new collection! I grew up in Milwaukee and lived in Wauwatosa for almost a decade before getting married and buying a home in Brookfield where I currently live with my husband and amazing little girl who is almost 2 ½ years old. Growing up I was always interested in being creative, (which was inspired by my mother). Art class was always my favorite but it wasn’t until high school that I really decided to pursue my interest more seriously. I mostly focused on drawing but I had an art teacher at Milwaukee Lutheran High School who was always so enthusiastic about every project that we worked on and encouraged us to try different styles and mediums. After high school I attended UW-Milwaukee’s school of Fine Art and received a BFA with a focus on Graphic Design. After graduating, I began to experiment with acrylic painting and participated in several group shows that had annual exhibits in the greater Milwaukee area. 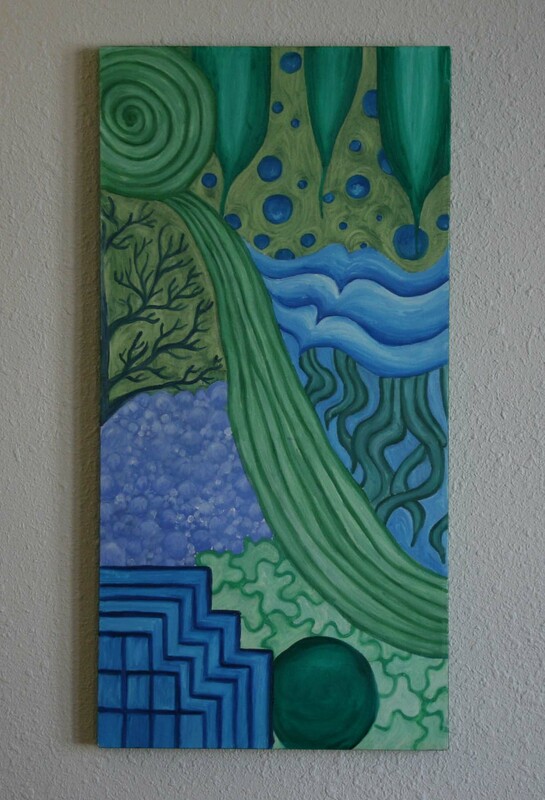 This began my shift to acrylic painting. On occasion I create sketches on my Mac in Illustrator, which is a medium that I will always enjoy. In addition to the group exhibits at local galleries I have shown my artwork at art fairs and markets in the Wauwatosa and Elm Grove area. Last year I established a LLC under the name Lydibird Artworks in order to promote my artwork under a more recognizable identity. Which was also a great opportunity to implement my Graphic Design training. The strongest motivation for me to create is the joy my paintings bring to people. Seeing them smile and laugh out loud is the greatest compliment anyone can give. The strongest inspiration for me is color. I am automatically drawn to anything that has bright colors. My style is contemporary and I enjoy painting flowers and animals, there is a definite apparent graphic influence in my artwork. There are three series that I have primarily been concentrating on the last couple of years. I like to challenge myself and ask myself what I can do to take my designs to the next level so my work is always evolving. The Hide Park Series is a collection of stylized portraits of ostriches and giraffes currently. I will be adding camels and peacocks later this year. I painted the original ostrich for a group show that had a Texture theme. This is how I contrived the concept of painting my interpretation of an ostrich’s hide as the background. I branched out to giraffes from there. 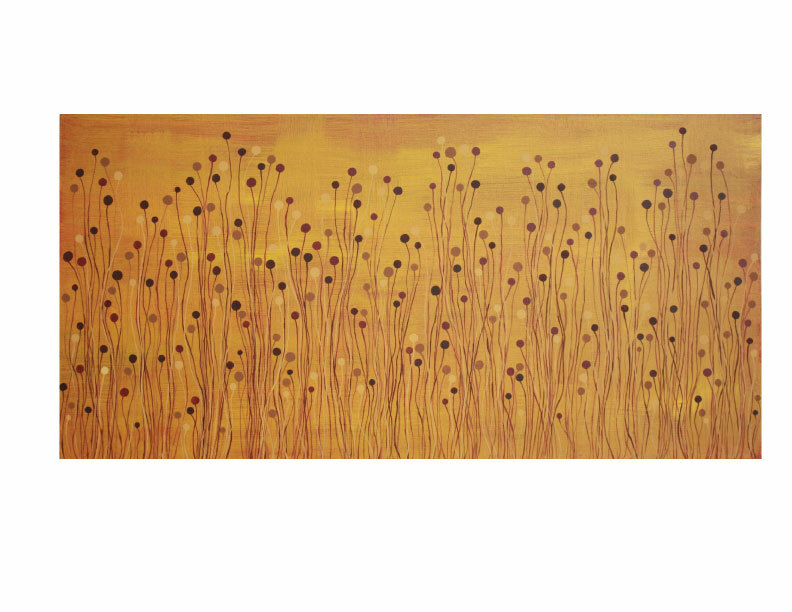 Filed Series is a graphic rendering of Black-eyed Susan’s after the petals fall off. My inspiration was a photograph that I took of my garden several years ago. Since the images are very clean and simple I create the backgrounds using several layers of paint so each color can be seen to give the piece depth. Another series I enjoy working on is a collection of birds and owls that are usually perched on branches. I use the same background technique as The Field Series to add interest and texture. These pieces are completely whimsical and very fun to create. Advice for young artisans would be, not unlike a relationship listen to your heart but follow your gut. Once that is found, the more passion put into it the more beautiful it will be. Also getting to know fellow artists with more experience has helped me greatly. What first drew you to Art? I have always looked to the artistic side whenever I wanted to make something special. It started small with a little scrap-booking so that friends and I would never forget a memorable moment. My creativity really took off though when my husband and I got our first little puppy, Bailey. I wanted to create dog collars for her that would represent her unique personality; from there I moved on to book covers, camera straps, child accessories for my niece and nephew and anything that I or my friends and family thought to add a little personal touch. How long ago was that? The creative seed planted in scrap-booking goes back to middle school, but the more sophisticated fabric crafts date back a little more than a year or so. I formally catapulted my passion for crafting with my online store, The Lovely Poppy, a few months ago. How would you describe your medium? fabric.. BRIGHT, fun, modern, unique and personal. What does it feel like to create? It is fun for me and almost therapeutic…if there is something troubling me in any other part of my life I know that I can just lose myself in my creativity. It feels great to make something that I know someone else can give to someone special as a gift that they might not have been able to make on their own. I love feeling that if I, or anyone, can think it then I can create it, It’s inspiring and rewarding all at the same time. What motivates you? Being able to create the perfect gift for someone to give to a very special person in their life that will have a personal significance. Challenging myself to surprise myself. What inspires you? Other handmade business owners…the special community that I have found at fairs, festivals and online that share my creative spark. Are you working on any new Art Projects (if more than one); I’m always trying to come up with something new. I usually draft up a dozen new patterns before I come up with one that I like. Tell us about your main project? My main product is the poppy petals. The poppy petals are my favorite because they are so versatile. You can add them to a scarf, hat, purse, headband, etc. while still maintaining that each one can be so uniquely different for each person, season and event. What advice would you a young Artisan in promoting their Art? Be patient J and don’t be discouraged if every project doesn’t turn out the way you envisioned it in your head…if everything turned out the way you envision it you will never surprise yourself. Do you think that being an Artisan is something that is in your blood or is it something that can be learned? Both. I learned everything I created by research, repetition and trial’n’error; however I have two very head strong parents that would make their own way any time they didn’t feel inclined to follow the path of those before them. What is the best advice you have ever been given in your field of Art? Art is not what you see, but what you make others see. How many hours do you work daily on your Art and what are your daily tasks for your work? I usually spend 2-3 hours a night on orders and new products. I get orders done first and then work on new products if I have time. What will you be showing at the Tosa Fest’s Fine Art show? Poppy petals, purses, headbands, and other fabric accessories. Carol’s current passion is working with wire where she incorporates beads resulting in pieces that include Viking Knitting, coiled wire and hand knit beaded items where she works with needles that are smaller than toothpicks! This passion began about two years ago when Carol was experiencing a horrendous sleepless evening. She found her way to a hank of silk yarn and began knitting something that she had no clue as to what it might become….hence my hand knit bracelets. Last year Carol became intrigued with the thought of working with wire and began doing Viking Knitting incorporating a variety of beads including faux Pandora type beads that became an instant hit with clients. As of late Carol has been designing some exciting pieces from coiled wire accented with Viking Knitting….stunning! Carol’s roots are from the Upper Peninsula of MI in a region of God’s country. She currently resides in West Allis, WI. Carol is employed full-time as a caregiver where she is able to use her artistic expression as a form of therapy. She works with acute dementia clients and others who are in their final days of their life. Carol enjoys working with clients to design jewelry for special events and weddings! Tracy has shown at a number of events including Tosa Fest and a stint at the State Fair last year. We are so glad to have her back her creations are simple and elegant, they have the feel of being home spun, creative and alive. I reside in Wauwatosa, my family moved here when I was in high school and after I was married my husband and I bought a home here and knew it would be a great community to raise a family. My children, I think it is pretty cool that I can stay home with them and pursue my dream and they get to witness that. Blog, blog, and more blogging…I need to take my own advice. Network with other artists, you can gain some valuable information from your peers!! Do you think that being an Artisan is something that is in your blood? Or is it something that can be learned? You know I am a late bloomer, I think I have always had creativity inside me but just needed to find the outlet for it. I also think it is something that is constantly evolving. Cultivate the relationships with your customers, it’s not just the quality of your work that keeps them coming back. Well I should be diligently working an eight-hour day, but it never works that way, especially if you are a creative brain, it’s not like punching a clock. I am a very last-minute worker so sometimes it will be several days of working 14 or 16 hours days before a big show. What will you be showing at the Tosa Fest Fine Art Show? 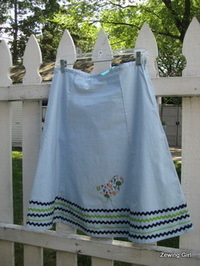 All of my usual suspects but hope to showcase more of my upcycled skirts and scarves for fall. I was born and raised in southeastern Wisconsin and call Wauwatosa my home. As a child I used drawing as a form of expression, for me and allowed me to use my eyes, hands, head and heart. I began drawing the houses in my neighborhood. I progressed through pen and ink, pastels, and then acrylics and oils. 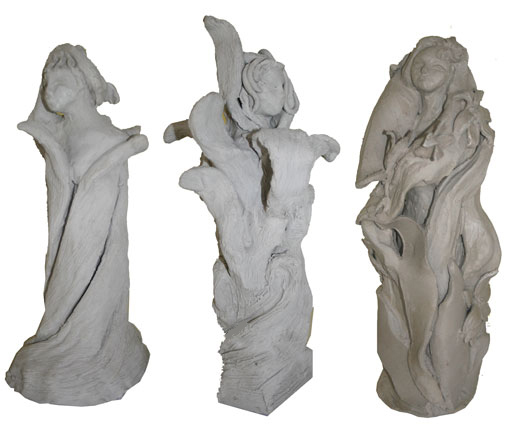 I always wanted to work in clay and knew that I would try each medium before I settled into it. My stoneware works have exhibited nationally and taken many awards. I began Photography while in college it gave me such a sense of freedom I do it to this day. My Photography has been exhibited In the Coos Bay Art Museum in Coos Bay Oregon. I have been working with art since I was six years old and hope to do it till I pass from this world. I work in stoneware clay and Photography. Stoneware allows me to manipulate it into anything I can imagine. I build 2D works that hang on walls and protrude about 2-5 inches from it. I often work from nature and lately I have been working with images of Women within the works. My Photography has a sense of history, people, place and culture in it. I am amazed by architecture and iron works. Creating to me is like taking a breath of fresh air. It is a quiet place where I can listen to my soul. It is a place of abundant joy. Creating new and exciting things, learning new techniques and the thought that today I am going to make amazing art. Inspiration for me comes from my dreams, People, cultures, history kids and gardens. All these things work their way into my art on a daily basis. I am currently working a garden woman. She is life size and when you approach her at the gate or perhaps a door she looks directly at you. When you are leaving she has another face looking away from you. I am working on two projects currently a universal religious work for a chapel-meditation room at Aurora Zilber VNA Family Hospice. The second project is a DNA project showing the seven lines of women who populated the world. After going through most all of the other mediums I find clay the malleable and photography gives me almost instant gratification. Do something every day to inspire you and dream! Visit art shows, museums, work in each medium till you find the one you like and speaks to your heart and soul. Show your work in local regional shows, network with other artisans. I think it can be both. It comes from inspiration that is within, the want or need to create. Be fluid, sometimes you can’t rush art allow it to sit and speak to you. Sometimes when a piece is done it’s just done, leave it alone. Also, promote your art and network. During show season I am either making art for helping others promote their art, it consumes my day. In the off season I am planning the next season, exhibiting my work and planning new works. What will you be showing at the Forks & Corks Exhibition? I will be showing a mix of both sculptures and photography. As a resident of Wauwatosa, I am so excited to be participating as an artist on display at the 2011 TosaFest on Saturday, September 10th. From 10-7 I will be displaying my design work – personal stationary, wedding programs, children’s birthday invitations, baby shower invitations, moving announcements, christmas cards, birth announcements and my favorite, personalized solid wood growth charts for children. Each and every designed piece is custom made, individual and one of a kind, specific to your aesthetic, personality and specified need. I am particularly excited to launch my personal growth charts – an absolutely endearing form of capturing a child’s milestones and memories to keep for a lifetime. These memorable growth charts are perfect as baby shower gifts, birthday gifts, birth gifts, as well as for your own children or grandchildren. Together we will custom design the child’s growth chart-fonts, patterns, colors and a love statement-written under the child’s first and middle name-a message of love, dreams for the child, even a scriptural life verse. Everything that is produced by me, is custom designed specifically to fit your unique personality or tailored to make your piece jazzed up and stand out that much more. After all, your piece is a GoodDesign.